A major portion of the content on this site is inspired by social media conversations from places like Facebook, Twitter and LinkedIn. I have learned more on social media than I ever learned in college FREE. Someday, maybe it will qualify for more than just a 3 credit course or the world will realize at last that debt isn't required to get a valuable education. ONLY AT XYZ COMPANY. your supervisor tells you that youre out of FMLA and will be fired if you call off again knowing damn well that you get MEDICAL TREATMENT EVERY WEEK. This was followed by a barrage of very sympathetic comments from well-meaning friends that ended in The HR Manager is useless. EhemLet me clarify how this works. Twenty-six work weeks of leave during a single 12-month period to care for a covered service-member with a serious injury or illness who is the spouse, son, daughter, parent, or next of kin to the employee (military care-giver leave). Not all companies are required by law to provide FMLA job protection (most commonly, not those with less than 50 employees). Its complex to administer, usually sad and rarely fun except sometimes when it is for an uneventful and routine birth or adoption. It shouldn't be difficult to administer however, while many employees are expedient with the paperwork, follow the guidelines and have little to no difficulty whatsoever, many individuals expect unreasonable accommodations, want time in excess of what is provided for, dont want to follow the rules and often run to chop off the HR peeps head. Have worked at least 1,250 hours during the 12 months immediately before the date FMLA leave begins. What are the issues? Well, they are significantly variable and plentiful and there are many papers and legal cases written about them. Usually they have to do with those employees that have a sense of entitlement and do not understand or care that the position they hold has a responsibility to get the work done - making it difficult for other employees and the employer. Some employees think FMLA means Fix My Life Act. Sometimes, a company doesnt ensure well enough that the employee and supervisor understand the terms of FMLA. It only takes one confused or misinformed employee to cost a business tens of thousands of dollars in an FMLA lawsuit and so its a touchy subject in the workplace. This one motivated me to write this post > One might need to exhaust all vacation, personal and sick time (or PTO if thats what you get) before being able to use FMLA. That means if you or your qualifying family member is ill youll have to use all your benefit time first and then FMLA time and if you exhaust all of both before the year is up and then want more time off for a vacation, holiday or other reasons to include additional medical appointments, you would likely end up with attendance occurrences and even separation. If you require more time away from the job than FMLA allows for then perhaps the best thing would be an unpaid leave of absence. The company cannot be expected to limp along without you or continue to make major accommodations covering your responsibilities. Sad but true. I have seen many heartbreaking examples of this but the employer cannot be expected to bear lengthy and undue burden though certainly some do. If on a block leave, you wont have an income but youll still be responsible for paying any group health coverage employee contributions. If you dont send it in youll lose coverage. If you are approved for intermittent leave, you still have to follow your companys absence related procedures. Just because you have FMLA it doesnt mean you can call off for a medical appointment that was scheduled in advance thats abuse. And clearly, it doesnt mean you should call off because you have something else to do (or want to do nothing) that day but were out of vacation time. Thats really abusive. It would be horrible that someone could be let go for receiving medical attention. But lets face it. Thats not the real reason, thats the way an individual perceives the situation. 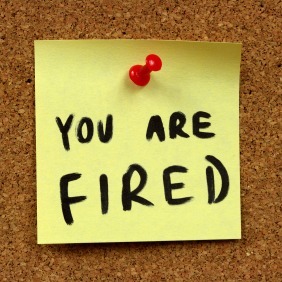 People are let go because they cannot meet the expectations they agreed to when they were employed, they exhaust the terms of FMLA or they misuse it. It can be a painful last straw on the camels back to have your life severely impacted by illness and then lose your source of income. Its all the more reason to ensure you ask questions about and understand how FMLA works if your physician approves it. Thats right, I forgot to mention, its not the evil HR lady that gives or doesnt give you FMLA its doctors orders. Open communication with the company FMLA administrator and your manager, and ethical use of an accommodation meant to be used for serious situations, make for a successful return to work. Do you have an FMLA related horror story? In the example you started with, the person with medical treatments every week might have something that qualified as a disability. Allowing time for those treatments could be a reasonable accommodation. However, since the company has decided that FMLA is all they are required to abide by, I have to agree the the HR manager appears useless. Gow – The comment indicates the individual was approved for FMLA and exhausted it. The accommodation of 12 weeks/3 months/480 hours – was made by the employer. If the individual has a disability that would qualify under ADA then there would need to be medical documentation provided to the employer with a request for reasonable accommodations and not all employers are required to conform ( for example, those with less than 15 employees). A modified work schedule could be the answer but it might not be if the reduced amount of time worked affects eligibility for needed healthcare benefits. There are many unknowns here, size of staff, why one can’t make schedule changes to accommodate appointments during non-work hours or make an arrangement to make up missed time, if the Supervisor is simply an idiot.. etc. But it doesn’t seem to me that’s it’s about the HR Manager at all andI’m fairly certain the HR Manager isn’t useless… just following protocol. Because no HR Manager wants to go through an EEOC complaint – trust me.Perhaps it’s the CEO who is useless for not permitting additional accommodations – because contrary to popular belief, the HR Manager doesn’t MAKE the rules, just ensures they are applied consistently and fairly for all staff. Karla, great blog. There are too many unknowns to judge the effectiveness of the HR Manager in the scenario cited, but of course a lack of command of the facts does not deter some people from judging — particularly anonymous judging of others when name-calling can be invoked. I agree with you that FMLA is often abused — and I would suggest that it is part of the entitlement culture that persists in many areas beyond employment. I have witnessed many individuals who have manipulated FMLA leave and fully believe that they are entitled to take FMLA when they want to — not when they need to. I’ve heard employees without PTO or vacation time available say “I’ll just take an FMLA day then” without even blinking. Those individuals stand in stark contrast to theindividuals who play by the rules, genuinely need the time taken, and actively work to limit the amount of time missed from work. Doug – Thanks for weighing in. You are correct, someone who read this post and saw me last night at the NEPA Bloggers Meetup said he has witnessed what amounts to gross abuse of FMLA and that it was seen very often as a ‘get out of jail card’. Companies can do themselves a big favor by ensuring supervisors are knowledgeable and adequately trained on this and other policies and procedures in the handbook… assuming there is one – of course. That IS the responsibility of HR, to ensure newly promoted from within and new hire supervisors understand how to administer them and treat employees with dignity. And hopefully, all HR Managers routinely outreach to those with protected / sensitive circumstances to monitor and update their status and gain valuable feedback. I think it’s a huge area of opportunity for many companies. How about an FMLA person who is faxed a medical cert from his Dr the same day it is requested and confirms with me that it was sent but the Spf coordinator claims she never got it? And that resulted in my pay being docked even though i have 90 hours of annual leave? Then, same person claims i cant take travel time to husbands transplant hospital even though FLMA law says nothing about that. @D d here- i should add that employees are at the mercy of HR staff who are honest and competent. Otherwise the employee might as well save as much leave as pissible and use paid leave instead. Unfortunately, I can’t really tell what your situation is about, there seems to be a lot going on here. As long as you or the doc’s office have proof it was sent then you should probably be able to recoup your pay. It is the employee’s responsibility to see all FMLA paperwork is transacted properly. It isn’t FMLA ‘law’ that would prevent travel, it would be what the doctor authorized on the paperwork. There is a lot of misconception about the HR representative’s role in FMLA. It is approved by the doctor and the HR person simply processes it for the company and employee. It is VERY common and in every company I have ever worked for has stipulated that paid time off (vacation as well as sick time if it isn’t all combined into PTO) must be exhausted as part of FMLA before unpaid leave. Perhaps you could ask to see the FMLA guidelines for the company.